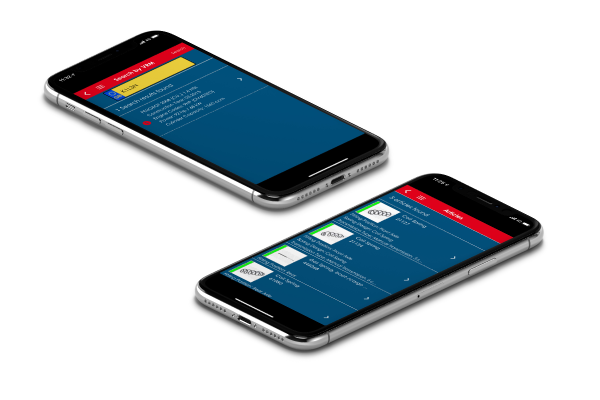 Kilen’s free catalogue app now includes VRM look-up, making it even easier to find the right spring for any vehicle. VRM Search (available for all British and Irish vehicles) – simply enter a registration number to find every spring suitable for the vehicle. Search results include all coil springs, gas springs, leaf springs, and sports lowering springs. Search via Part Number – enter any Kilen number to find a wealth of useful information, including linked vehicles, product photos, and relevant OE information. Cross Reference – use the Search function to find Kilen alternatives of original equipment (OE) or competitor springs – just enter the part number to find the Kilen equivalent. Search via vehicle – select the make and model to view all Kilen springs available for a specific vehicle. Barcode Scanner – Scan the barcode on any Kilen box label for full details of the spring within, including any associated technical bulletins. Locations – find your nearest Kilen office and all relevant contact details. The Kilen Automotive app is fast, intuitive, and easy to use, making it the ideal solution for motor factors, garages, and workshops. Try it free today on all iOS and Android devices. Search ‘KILEN CATALOGUE’ in your app store, or scan the QR code.